Cobblestone Farms Baby Back Ribs, which were produced in Canada, are being recalled because they were not presented at the border for inspection. Skilcor Food Products in Brampton, Ontario, is recalling approximately 36 pounds of the fully cooked pork baby back ribs in honey garlic barbeque sauce which were distributed to Shop Rite stores in Brooklyn. 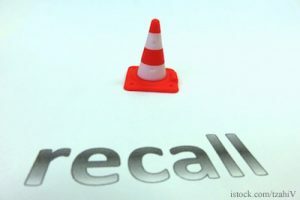 The recalled products was sold in 1.5 pound packages labeled “Cobblestone Farms Fully Cooked Pork Baby Back Ribs in Honey Garlic Barbeque Sauce” with the package code “Sell By 2015-AL-08” and case code “15201” The Canadian mark of inspection with establishment number “624” also appears on the product. There have been no reports of illness. But consumers who have purchased this product should not eat it. Anyone with concerns about an illness related to this product should contact a healthcare provider. The problem was discovered by staff members of the U.S. Department of Agriculture’s Food Safety and Inspection Service (USDA FSIS). FSIS scans information about Custom and Border Protection Automated Commerce Environment summary shipments that may not have been presented for inspection at the border. Products not inspected at the border must be recalled.